Shun knives are made in the same cities as katanas—with the same materials and traditions, too. That right there is some serious honor. 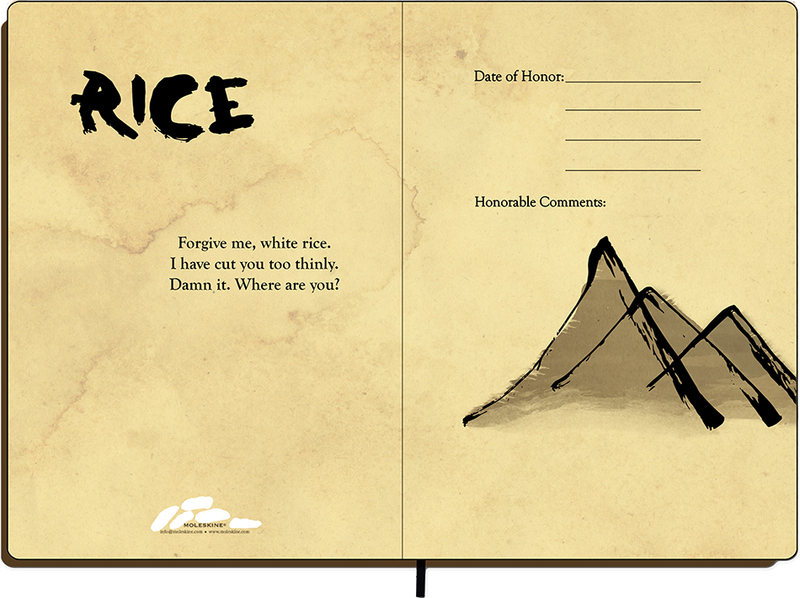 To bring extra honor to their food, we encouraged people to commemorate the day of slicing by reciting a haiku and writing down the date. 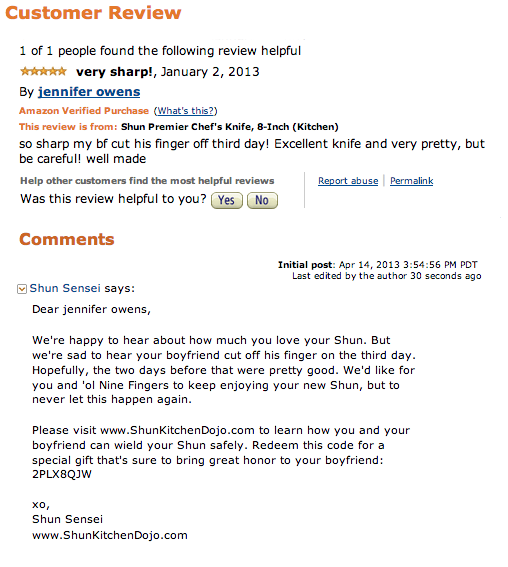 On Amazon, there are many positive yet cautionary reviews for Shun knives. We figured that maybe people just needed a little extra Shun education. So we created the Kitchen Dojo. To get the word out, we responded to Amazon reviews with a personal invitation to the dojo and a special gift to help ease their pain. Reusable grocery bags to hold food/offerings that can be honored by Shun knives at a later point in time. "I WISH THE KITCHEN DOJO HAD A CATCHY JINGLE OR SOMETHING." Well, prepare to honor your ears.